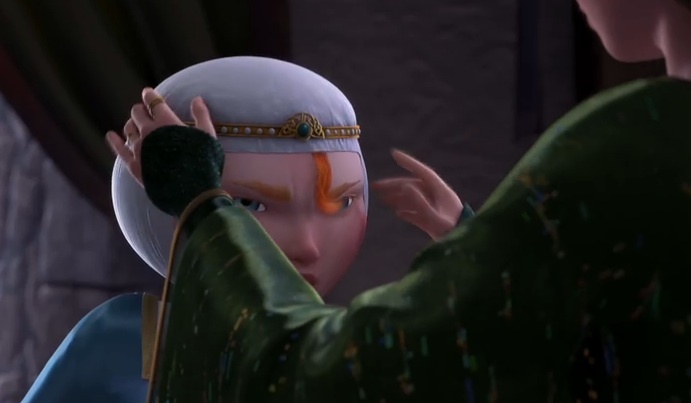 Brave's Merida may resent being forced to wear her diadem (and who can blame her, what with that unattractive wimple and all) but that doesn't mean crowns aren't awe inspiring. Diadems, headdresses, and tiaras have been present in cultures all over the world as signs of status, wealth, strength, and political power for more than 4000 years. 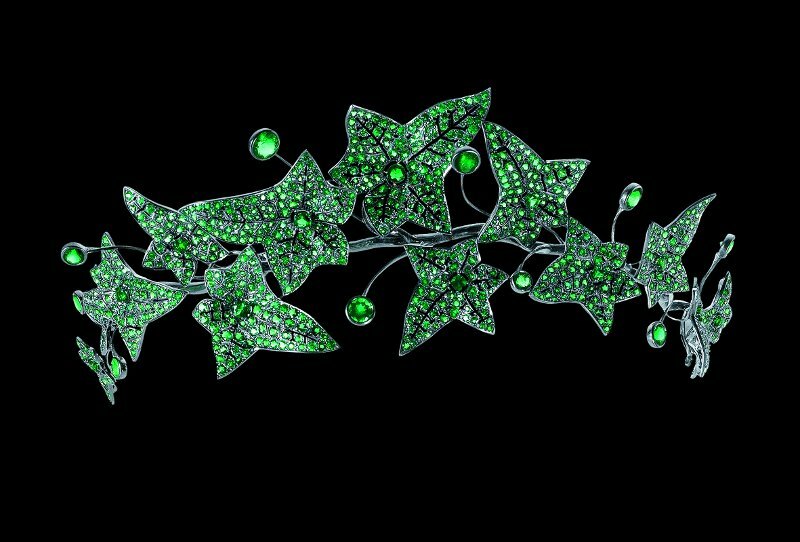 The headpieces have often been impressive works of art created by some of the most skilled craftsman of the day. Most important, they're so sparkly! 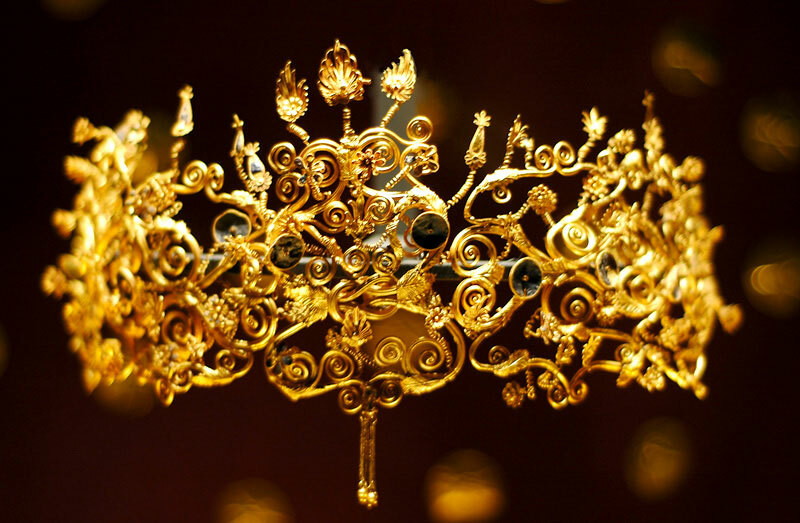 So, without further ado, here are fifteen absolutely gorgeous and oh-so-shiny historic crowns. King Tutankhamen was buried in 1323 B.C. 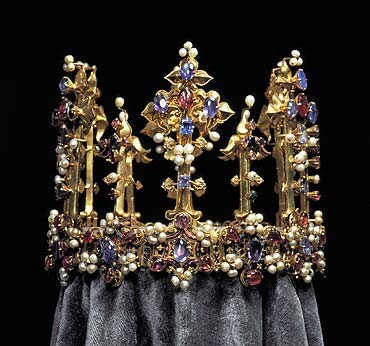 wearing this crown featuring multiple serpents. This tiara boasting 550 carats of pear-shaped emeralds was commissioned around 1900 by the First Prince von Donnersmarck, Guido Count von Henckel, for his second wife Princess Katharina. 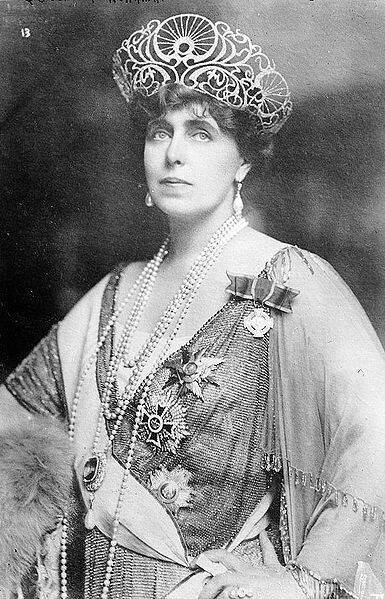 Queen Mary's coronation crown was created in 1911 and featured the Koh-i-Noor Diamond. It was later replaced with a crystal replica. Empress Farah of Iran wearing the Seven Emeralds Tiara created by Harry Winston. 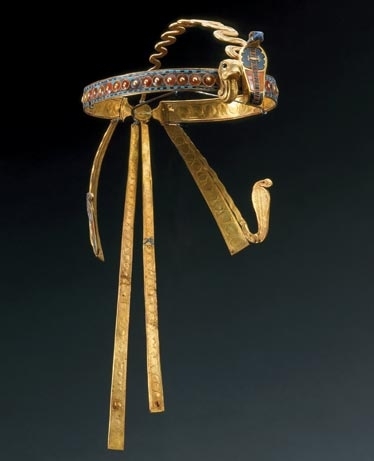 This diadem was owned by one of the wives of Philip of Maedon, father to Alexander the Great, in the fourth century B.C. 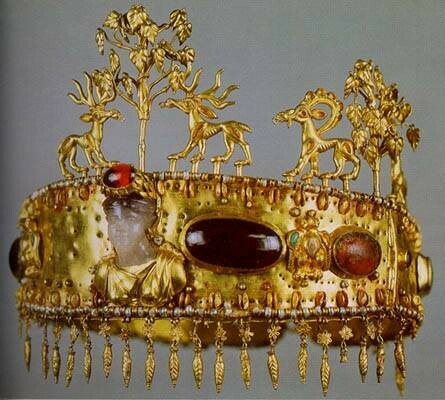 The crown was uncovered in the Macedonian royal tombs. 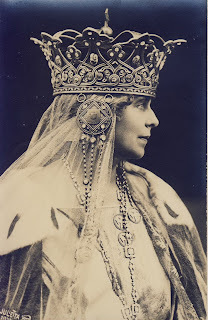 The trio of photographs are all of of Queen Marie of Romania. Each photo shows the queen wearing a different crown. 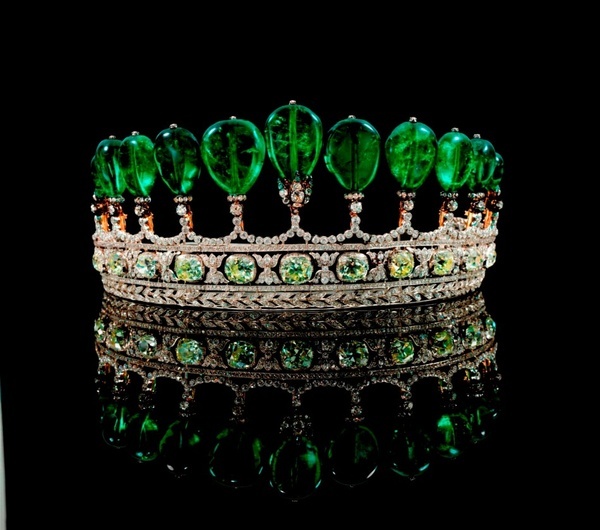 This emerald and black gold tiara is owned by Queen Rania of Jordan. Studded with pearls, sapphires, emeralds, and diamonds, this tiara was most likely owned by England's King Edward III or Anne of Bohemia in 1399. The Portuguese Diadem of the Stars featuring yellow diamonds was created as part of a set in 1863 for Queen Consort Maria Pia of Savoy, a woman known for her love of fashion. The gold crown decorated with an amethyst bust of a woman was found at the Khokhlach Burial Mound, near Novocherkassk and dates back to the first century AD. 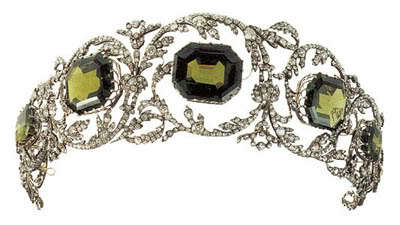 Originally made for the Archduchess Henriette of Tuscany, the peridot tiara was owned by Archduchess Isabella of Austria. This first century B.C. 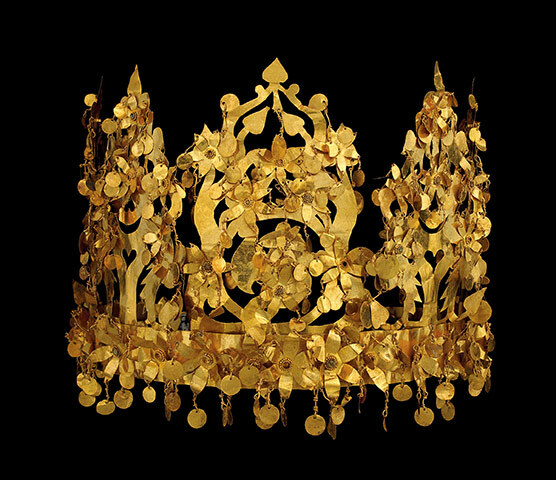 gold crown was found in Afghanistan in the tomb of a high-ranking noblewoman and features birds, flowers and the tree of life. 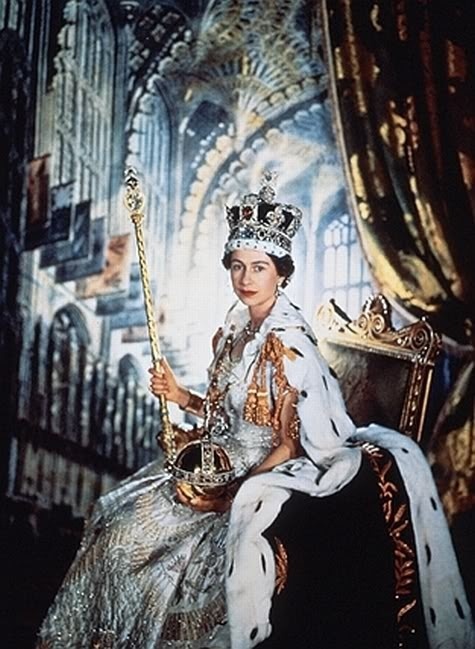 Queen Elizabeth II wearing her coronation crown in 1953 while holding her orb and scepter. Man, Queen Rania gets the best one, imo. I agree. That one's my favorite, too. 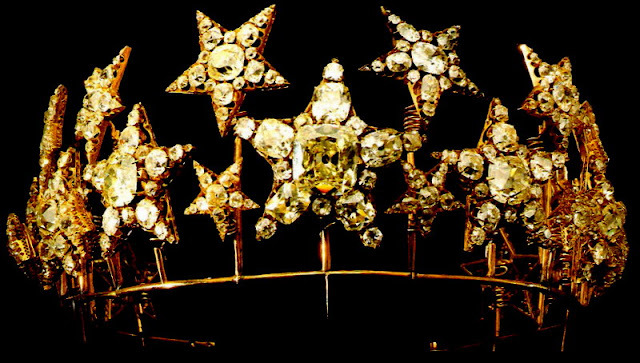 The Diadema de Estrelas is a close runner up. Those are all beautiful, but man, do my head and neck hurt just looking at some of them. I imagine 550 carats of any stone are really, really heavy. They can be! I can't remember which crown it was in reference to, but I came across one piece while researching this post that mentioned it was so uncomfortably heavy, it could only be worn for 15 mins or so at a time. Man, I am totally having Amy Farrah Fowler moment over here. 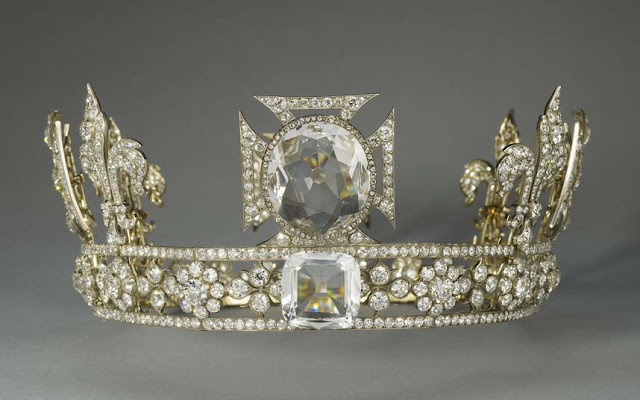 Tiaras really need to become an every day fashion accessory, IMO. They don't even need to be particularly expensive or ornate. I've seen some nice beaded ones. Geek ladies totally need to start ourselves a trend. Seriously. A friend and I were just saying the same EXACT thing this morning on Twitter. 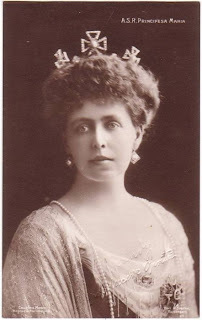 We were coming up with occasions to wear tiaras on a semi regular basis. I suggested cocktail hour on Fridays. What do you think? When would you wear one? I think it should be an everyday thing. Like say you have a nice beaded tiara for everyday wear. Then something a bit nicer for date nights, happy hour, etc. Then something flippin' fabulous for New Years, Birthdays, etc. Yes. This should become the standard for headwear.